Usain Bolt expresses surprise at drug test notice – Royal Times of Nigeria. Usain Bolt has questioned why he has received a notice for a drugs test from Australia’s anti-doping authority (Asada), saying he is not yet a professional footballer.The eight-time Olympic sprint champion is training with A-League club Central Coast Mariners and scored twice on his first start in a friendly on Friday. 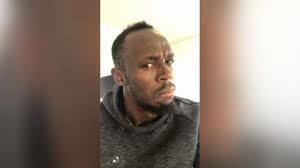 In an Instagram post on Monday, in which he showed the drugs test notice, Bolt says he has been told he is being tested as he is an “elite athlete”.The 32-year-old Jamaican retired from athletics in 2017. The notice from Asada requesting blood and urine appears to have been issued by Football Federation Australia.It is understood that even as a triallist, Bolt is officially registered with the club, and is therefore subject to drug testing.